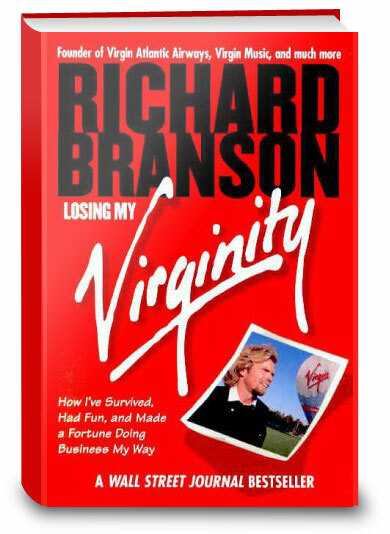 In this autobiography, Virgin Group founder Richard Branson says one of his prime business criteria is "fun." Fun made Branson a billionaire, and few business memoirs are one-billionth as fun as Branson's, nor as niftily written. Not only does it relate his side of near-death corporate experiences, it tells how the chairman literally cheated death by gun, shipwreck, and balloon crash. Despite wild tales of Branson's wife-swapping and Keith Richards fleeing naked from Branson's studio at gunpoint with another man's woman, the most shocking parts of the memoir concern British Airways' James Bond-like "dirty tricks" campaign against Virgin Atlantic, resulting in the biggest award for damages in English history. Though it's filled with famous names, witty quotes, and pulse-pounding accounts of lunatic balloon adventures, it is as a business thriller that the book really scores. His instinctive bet-the-ranch tactics could cost him all, or earn another billion. Either way, Branson will likely remain the most entertaining entrepreneur in Europe. --Tim Appelo --This text refers to an out of print or unavailable edition of this title. Click the button below to add the Losing My Virginity: How I've Survived, Had Fun, and Made a Fortune Doing Business My Way to your wish list.